Israeli soldiers abducted, overnight and at dawn Tuesday, at least fifteen Palestinians in different parts of the occupied West Bank, after invading their homes and searching them. The Palestinian Prisoners’ Society (PPS) has reported that the soldiers abducted Mahmoud Hamza from the al-Jalazoun refugee camp, Ahmad Omar Zahran and Othman Ahmad Zahran, from Deir Abu Mashal town, in addition to Baha Mahmoud Awad, from Budrus town, in the central West Bank governorate of Ramallah. Furthermore, the soldiers invaded Iraq at-Tayeh village, in the northern West Bank governorate of Nablus, and abducted Mohammad Ahmad Rashdan, 33, Moayyad Zaher Jouda, 23, and Khalil Nidal Jouda, 28. In Hebron city, in the southern part of the West Bank, the soldiers invaded many homes, and abducted Mousa Rajabi, and Osama Monther Fannoun, who was previously shot by the army. The soldiers also abducted Homam Abdul-Jabbar Othman, 17, from his home in Jenin refugee camp, in the northern West Bank city of Jenin. 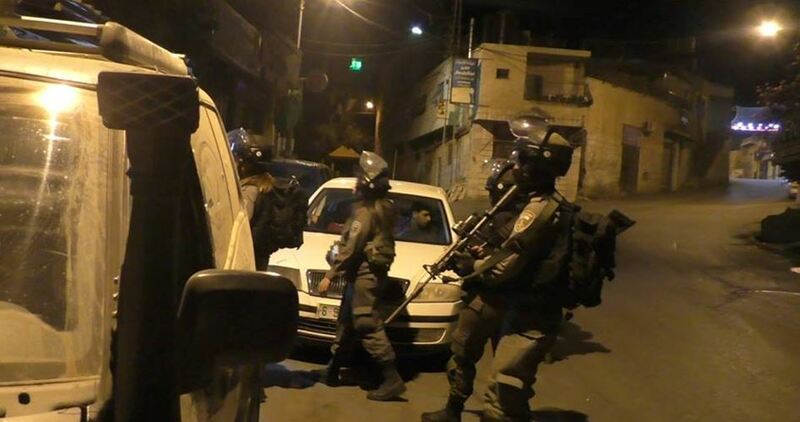 In addition, the soldiers invaded and searched many homes in Shu’fat refugee camp, in occupied East Jerusalem, and abducted five young Palestinian men. 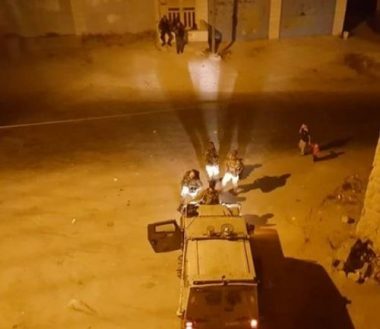 It is worth mentioning that undercover Israeli soldiers have abducted, late on Monday at night, two Palestinians from Nablus governorate, after ambushing them in the ar-Ram town, north of Jerusalem. The army claimed that the two Palestinians intended to sell two “Carlo” automatic rifles, and moved them to an interrogation facility. 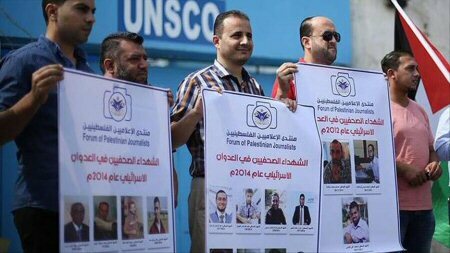 The Palestinian Journalists Forum denounced the recent escalation in Israel’s egregious violations of international law, against them in the West Bank. Israeli forces detained, in the early hours of Monday, Al-Aqsa channel correspondents Alaa Tetti, from northern Hebron, and Ameer Abu A’raam, from Birzeit, after breaking into and ransacking their homes. Al Ray Palestinian Media Agency notes that Alaa Tetti was subjected, several times, to detention in Israeli prisons. Ofar Israeli military court sentenced journalist Mustafa Khawaja to eight months in jail, in addition to imposing a $900 fine. Israeli soldiers assaulted journalist Rae’d Abu Rmeelah in the wake of a Sunday raid in Hebron, while abducting journalist Mohammed Awad. The Palestinian Journalists Seminar underscored the right of Palestinian journalists to cover the events and show the truth despite Israel’s illegal practices. It also called upon international human bodies and activists to shoulder responsibility in providing protection for journalists and mass media in the Palestinian territories. Israeli military court of Ofer on Monday afternoon sentenced a Palestinian detainee, Ziyad Awad, to 2-life terms of imprisonment. According to Israeli Channel Ten, prisoner Awad was convicted of killing Baruch Mizrahi, a senior Israeli police officer, in 2014. Awad, who was released in Wafaa al-Ahrar swap deal in 2011, was also sentenced to additional 16 years to complete his previous sentence term. In addition, he was fined 250,000 shekels as compensation to the family of the killed officer. Lod District Court of Israeli occupation authorities sentenced a 24-year-old Jerusalemite detainee, Tareq Duwaik, to 17 years of imprisonment. 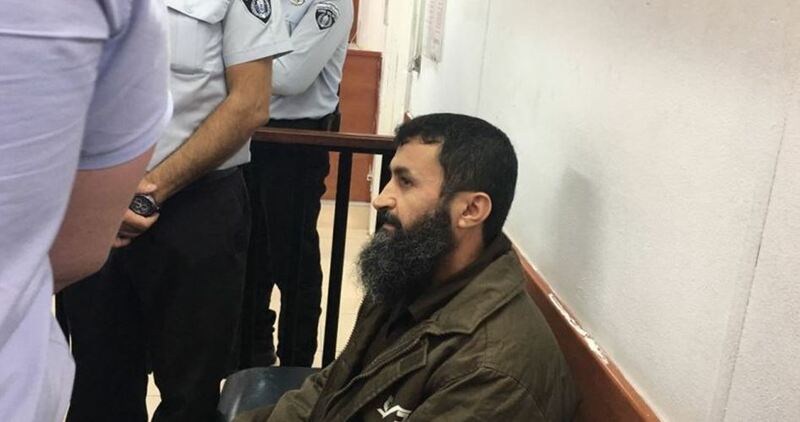 Head of the families of Jerusalemite prisoners committee, Amjad Abu Asab, said in a press statement that captive Duwaik was also fined 80,000 shekels during the court hearing on Monday morning. Detainee Duwaik was convicted with attempted murder against settlers as he carried out an anti-occupation stabbing attack on October 13, 2015 north of Tel Aviv. 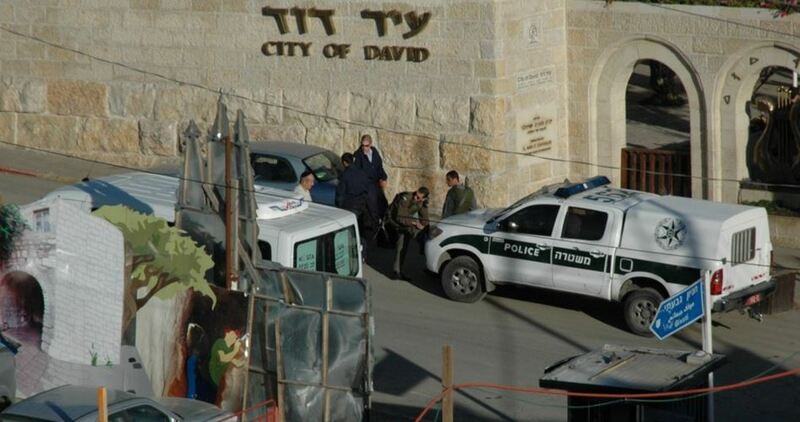 The stabbing attack led to some injuries among Jewish settlers, Abu Asab pointed out. Prisoner Duwaik was brutally beaten by settlers after the attack and, as a result, was seriously injured that needed him to stay at hospital for a long period. At least 23 Palestinians were kidnapped by the Israeli occupation forces (IOF) at daybreak Monday in an abduction sweep rocking the West Bank. The Israeli army claimed responsibility for the abduction of 23 Palestinians from the West Bank. Israeli soldiers raided Nablus city and wreaked havoc on civilian homes before they kidnapped four Palestinian young men, among them 21-year-old Mohamed Amer. The occupation soldiers smashed the car of Amer’s brother. Two Palestinian journalists—Alaa al-Titi and Amir Abu Aram—working for al-Aqsa TV Channel were also kidnapped by the occupation forces from al-Khalil and Ramallah provinces. Last week, an Israeli court ruled that Aqsa correspondents be banned from working in the occupied West Bank for one year. The campaign culminated in the abduction of two Palestinians from Bethlehem, another from Nablus, three from Ramallah, one from Jericho, and another from al-Khalil. 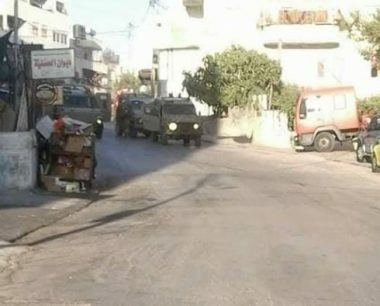 In the meantime, IOF soldiers in a flock of Israeli military jeeps stormed Jenin’s refugee camp, in the northern West Bank, and ransacked civilian homes before they kidnapped two Palestinian young men, identified as Nour al-Hendi and Hamouda Abu Khalifa. The IOF further set up a military checkpoint near the main entrance to Jenin’s southern town of Yabad, where Palestinian civilians have been subjected to tough crackdowns and intensive inspection. Israeli soldiers abducted, on Monday at dawn, four Palestinians, including one journalist, in the West Bank governorates of Hebron and Jenin, during extensive military invasions and violent searches of homes. The Hebron office of the Palestinian Prisoners’ Society (PPS), in the southern part of the occupied West Bank, has reported that the soldiers abducted Osama Adnan Rajabi, from Hebron city, and a journalist, identified as ‘Ala Jabr at-Teety, from the al-‘Arroub refugee camp, north of Hebron. 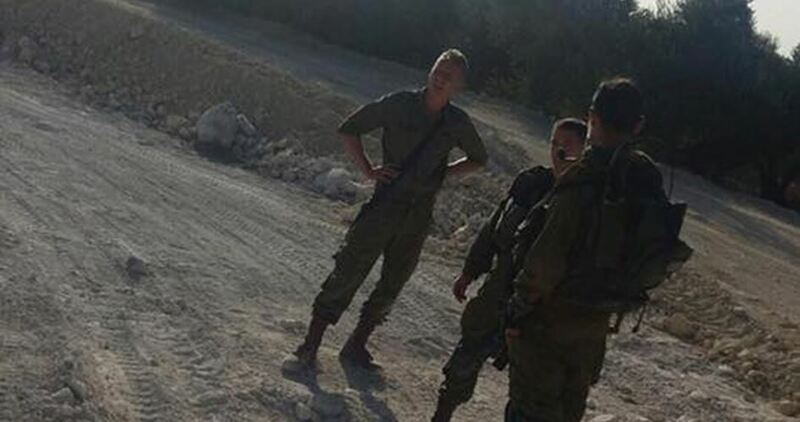 The soldiers also invaded many homes in Sa’ir town, northeast of Hebron, and installed a roadblock at the main northern and southern roads of the governorate. In addition, the soldiers invaded Jenin refugee camp, in Jenin city, searched homes and abducted two young men, identified as Nour al-Hindi and Hammouda Abu Khalifa. 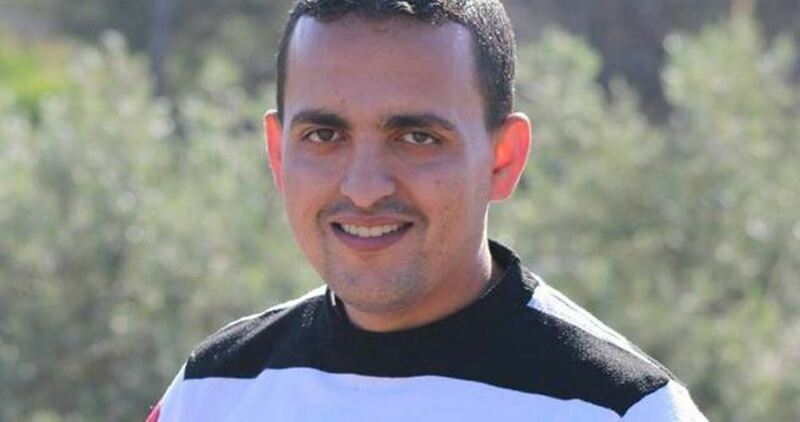 The Israeli occupation authorities (IOA) on Sunday sentenced the Palestinian journalist Mohamed Awad, 30, to administrative detention, with neither charge nor trial. The lawyer told Awad’s family that the detainee was sentenced administratively for an indefinite period. A court hearing is slated to be held on Wednesday to confirm the prison term. Awad was kidnapped by the Israeli occupation forces on Thursday evening from his home in Ramallah’s western town of Badres. He was transferred to the Israeli Ofer jail. 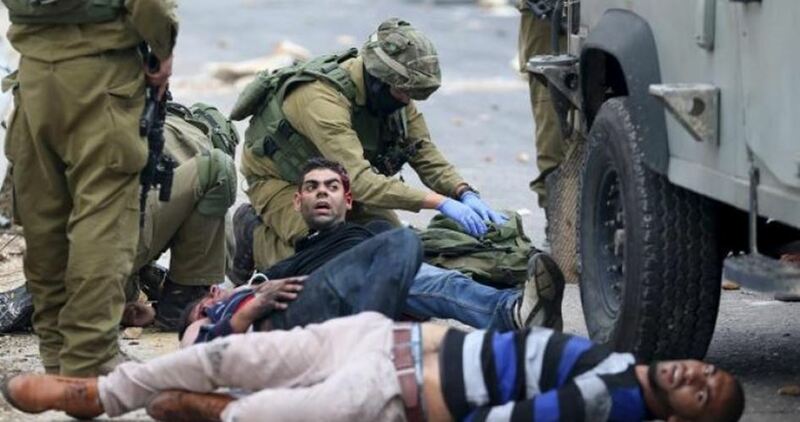 The Israeli Occupation Forces (IOF) arrested some 14,000 Palestinians in the occupied Palestinian territories over the last two years, according to a rights group. Palestine Center for Prisoners’ Studies said that 14,000 Palestinians were detained since the start of Jerusalem Intifada on Oct.1, 2015 including 3100 minors, 437 women, and 450 online activists. Almost all the detainees were subjected to psychological or physical torture in Israeli detention and investigation centers in total violation to international laws and conventions, the center added. The rise in Israeli arrests has been intensified after the Jerusalem Intifada, according to the source. 2860 administrative detention orders was issued over the reported period, 17 of which were issued against female detainees while 42 others targeted minor detainees. 65 young girls were among the female detainees, six of them suffered live shot injuries during their arrest. 16 Palestinian MPs were also detained over the reported period, ten of them are still being held in Israeli jails. The figures also documented the arrest of 150 elderly people, 39 academics, 240 patients and disabled people, and 115 journalists. Over the past two years, six prisoners died, rising the number of Palestinian detainees who lost their lives behind Israeli bars to 212. The Israeli police arrested Sunday evening a Palestinian youngster after chasing his car in Beit Atata northeast of occupied Jerusalem. Local sources reported that unidentified detainee was taken in a military vehicles to unknown detention center. Israeli army carry out daily arrest campaigns in West Bank and occupied Jerusalem with the aim of foiling the Palestinian Intifada (uprising). Elor Azaria, an Israeli soldier who murdered a Palestinian in cold blood, just had his already-derisory sentence reduced by the army chief of staff. Azaria became a hero to many in Israel after the incident last year at an illegal Israeli checkpoint in Hebron, a city in the occupied West Bank. Abd al-Fattah Yusri al-Sharif and Ramzi Aziz al-Qasrawi, both 21, were shot dead by Israeli soldiers in March last year. The Israeli government accused them of stabbing and moderately wounding a soldier in the Tel Rumeida neighbourhood of Hebron’s Old City. Azaria was caught on camera as he calmly and deliberately shot al-Sharif in the head as the youth lay badly wounded and completely subdued on the ground. During the trial, Azaria was offered support from the highest political levels, with Israeli Prime Minister Benjamin Netanyahu calling for him to be pardoned altogether. In February this year Azaria was sentenced to a derisory 18 months in prison. If Palestinian lives were deemed of any value at all in in Israel, Azaria would have been given life in prison. Instead he was given a slap on the wrist. And now, his sentence has been reduced on military order to 14 months. After this has been reduced by another six months, as seems likely, for “good behaviour,” Azaria will likely spend no more than eight months in jail. Little illustrates the apartheid nature of Israeli “justice” better than this. By way of contrast, 21-year-old Ahmad Yasser Baraghithi was in 2014 sentenced to eight years in jail for allegedly throwing stones at Israeli occupation forces in Jerusalem during Palestinian protests against Israeli occupation. That’s eight years, not the token eight months the killer Azaria seems likely to serve. During the trial, the court heard that what Azaria did was very much routine practice by the Israeli army, who murder Palestinians in the West Bank on a routine basis. “In terrorist incidents I witnessed, I saw with my own eyes that in every instance in which a terrorist attacked, soldiers shot him in the centre of mass until he was neutralized … and [shot] a bullet to the head to ensure that the terrorist could not set off a suicide belt or continue the attack. These soldiers never went to court,” a long-time civilian security chief for Jewish settlers in Hebron, told the court. The Palestinians who filmed the video and gave it to Israeli human rights group B’Tselem have received death threats for exposing the crime. Many other Palestinians spend far longer in jail than Azaria, often for “crimes” that amount to nothing more than simply speaking out against Israel’s illegal occupation of Palestine. Palestinian poet and photographer Dareen Tatour spent more than a year and three months in jail and house arrest for the “crime” of writing a poem entitled “Resist, my people, resist them.” The poem called on Palestinians to fight back against Israeli occupation, to “Resist the colonialist’s onslaught” and “Pay no mind to his agents among us.” Israel has a long history of criminalizing such literary expression of the Palestinian liberation struggle. Lina Khattab is a young Palestinian who in 2014 and 2015 spent almost as much time in jail as Azaria seems likely to now. Her “crime” was to dance at a protest against Israeli occupation, which they had deemed an “illegal demonstration.” Pretty much any demonstration Palestinians organize against occupation in the West Bank is deemed “illegal” by Israel, which likes to portray a thin veneer of legality for its sponsors and political allies in the West. Israel’s “military courts” are sham show trials which have no credibility whatsoever when it comes to Palestinian accused. Judges and prosecutors alike are all Israeli soldiers, and we are supposed to buy the Israeli propaganda which claims that this fix of a system will hold the occupation authorities to account? No. Israel’s kangaroo courts system has a 99.7 per cent conviction rate – for Palestinians alone. This is yet another cold hard fact which makes Israel’s system in the occupied West Bank a racist one – a systematic apartheid reality, backed to the hilt by the US and the EU. - Asa Winstanley is an investigative journalist living in London who writes about Palestine and the Middle East. He has been visiting Palestine since 2004 and is originally from south Wales. 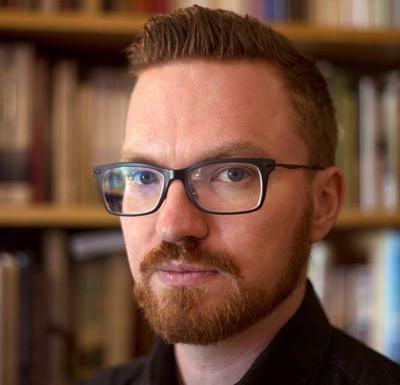 He writes for the award-winning Palestinian news site The Electronic Intifada where he is an associate editor and also a weekly column for the Middle East Monitor. The Israeli occupation authorities renewed the administrative sentence of the Hamas leader Abdul Khaleq al-Natshah, aged 61, for the second consecutive time. 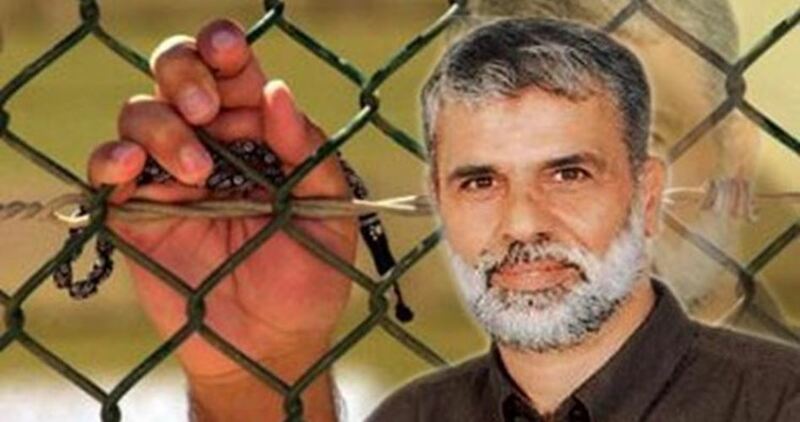 The Israeli prison authorities re-sentenced al-Natshah to another four-month prison term, with neither charge nor trial. Al-Natshah was kidnapped by the Israeli occupation forces on June 9, 2017, from his home in Jabal al-Rahma, in al-Khalil. He had been subjected to exhaustive interrogation prior to his arrest. In 2002 the Israeli authorities knocked down his home. Al-Natshah has been diagnosed with life-threatening cardio-vascular and kidney disorders. He has spent a total of over 18 years in Israeli lock-ups. Dozens of Israeli soldiers invaded, earlier Sunday, the Deheishe refugee camp, and al-Khader town, in the West Bank governorate of Bethlehem, abducted two Palestinians, and injured several others during ensuing clashes. The soldiers invaded Deheishe refugee camp, south of Bethlehem, stormed and ransacked many homes, before abducting a young man, identified as Mohammad Ibrahim al-Oleymi, 24. 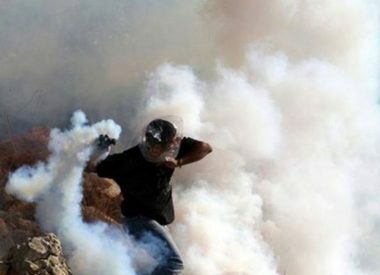 Many youngsters hurled stones at the invading military jeeps, while the soldiers fired many gas bombs, causing several Palestinians to suffer the effects of teargas inhalation. The army also invaded the al-Khader town, searched homes and abducted Bilal Mohammad Issa, 23. 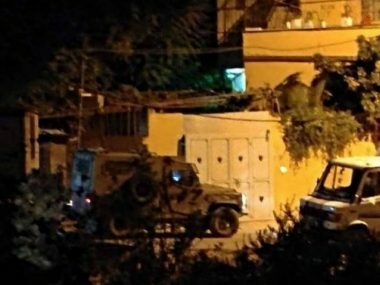 Several Israeli army jeeps invaded, earlier on Sunday morning, the town of Doha, west of the West Bank city of Bethlehem, searched many homes and injured many Palestinians before abducting one woman, and caused fires in two homes. The invasion was carried out by a large military force before the soldiers initiated violent searches of many homes after breaking into them, especially near a mosque, in the center of the town. Medical sources said many Palestinians were injured by live Israeli army fire following clashes that took place in the center of the town. The soldiers also abducted several Palestinians during the home invasions and violent searches; one of them is a woman, identified as Amal Abdullah Sa’adi, 52. Also, a fire, resulting from the Israeli concussion grenades, burnt various sections of a home, owned by Mohammad Khalil Soubani, before Palestinian firefighters rushed to extinguish it. Furthermore, the soldiers surrounded another home, inhabited by members of Sa’ad family, and invaded it before collecting medication and their containers, and detonated them in the property, causing fires and extensive damage. Palestinian firefighters managed to contain the fire, but after it caused serious damage. It is worth mentioning that the soldiers have abducted at least six Palestinians from their homes, in different parts of the West Bank. The army also claimed it managed to locate four pistols in Bani Neim town, east of the southern West Bank city of Hebron.